Ensure that all divers have removed anything from their mouths on which they might choke during a dive (gum, dentures, tobacco). _ 1. Ensure that other means of accomplishing mission have been considered before deciding to use divers. _ 2. Ensure that contingency planning has been conducted. _ 4. Completely brief the diving team and support personnel (paragraph 6-12). _ 5. Designate a Master Diver or properly qualified Diving Supervisor to be in charge of the mission. _ 6. Designate a recorder/timekeeper and verify that he understands his duties and responsibilities. ter, or commercial depth sounder. _ 8. Verify existence of an adequate supply of compressed air available for all planned diving operations plus an adequate reserve for emergencies. _ 9. Ensure that no operations or actions on part of diving team, support personnel, technicians, boat crew, winch operators, etc., take place without the knowledge of and by the direct command of the Diving Supervisor. _ 10.All efforts must be made through planning, briefing, training, organization, and other preparations to minimize bottom time. Water depth and the condition of the diver (especially fatigue), rather than the amount of work to be done, shall govern diver's bottom time. _ 11.Current decompression tables shall be on hand and shall be used in all planning and scheduling of diving operations. _ 13.Ensure that ship, boat, or diving craft is securely moored and in position to permit safest and most efficient operations (exceptions are emergency and critical ship repairs). _ 14.Verify that, when using surface-supplied techniques, the ship, boat, or diving craft has at least a two-point moor. _ 15.Ensure that, when conducting SCUBA operations in hazardous conditions, a boat can be quickly cast off and moved to a diver in distress. _ 1. Ensure that each diver checks his own equipment in addition to checks made by tenders, technicians or other support personnel. _ 2. 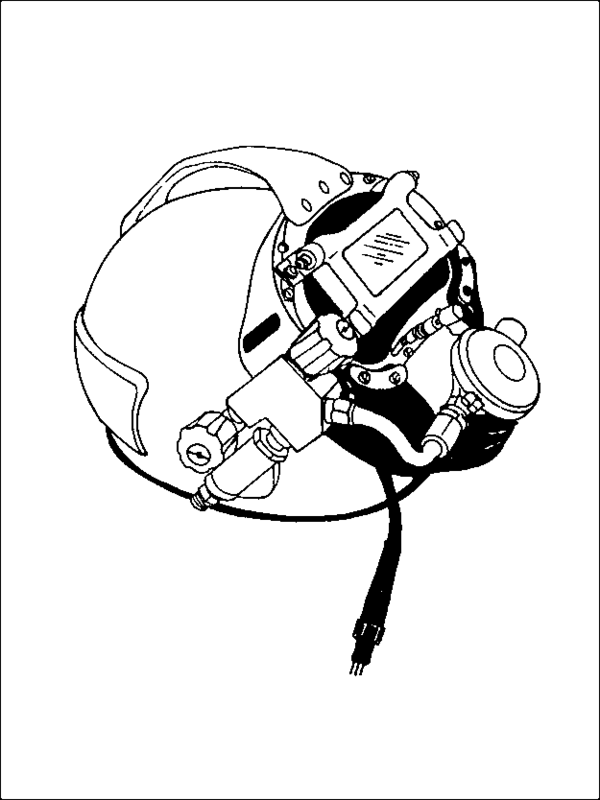 Designate a standby diver for all diving operations; standby diver shall be dressed to the necessary level and ready to enter the water if needed. _ 3. Assign buddy divers, when required, for all scuba operations. Figure 6-19c. Diving Safety and Planning Checklist (sheet 3 of 4). enters wreck, the other tends his lines from point of entry. particular dive. Check provisions for decompressing the diver. 12.Verify that proper safety and operational equipment is aboard small diving boats or craft. that diving operations are underway and their assistance may be needed. Figure 6-19d. Diving Safety and Planning Checklist (sheet 4 of 4).